Locally considered to be the authentic sign that winter is finally over, one's first sighting of the season of a Pasque Flower in bloom is an exciting event. 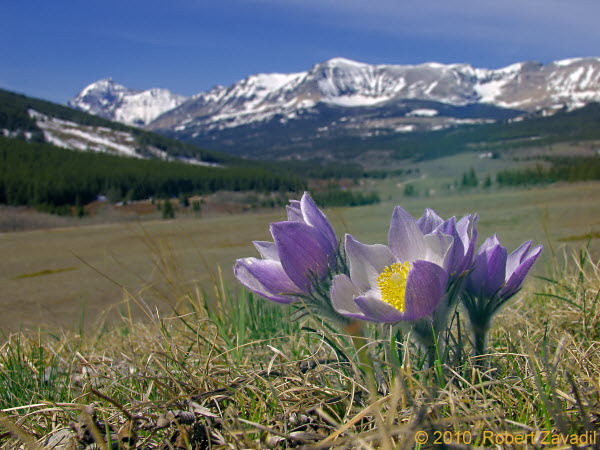 The Pasque Flower, the very first wildflower of spring, is a close relative of the domestic crocus. This picture of a Pasque Flower was taken on Easter Sunday in the Cutbank Creek valley on the east side of Glacier National Park.